Dental Health is important for everyone and with the help Capital One, and Care Credit, they are able to offer you financing at interest rates starting as low as 0% interest for a minimum of 6 months and a maximum of 12 months. Please feel free to click on the links below and read through the application process. If you would like to fill them out even before your first appointment, we encourage you to do so. 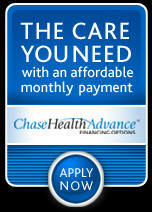 If you have any questions regarding payment plans feel free to contact us at 818-248-7344. Our goal is to help you have health teeth and gums for life! We also accept cash, check, Visa, MasterCard, and American Express.